If you haven’t heard of Russell Morris before, that’s probably because he comes from Down Under. No spring chicken, he first had a hit in Australia way back in 1969, since when his career has had its ups and downs. The latest upswing came with Sharkmouth, an award-winning platinum-selling album in his homeland that’s been kicking around since 2013. But with a US release coming up in September it’s now being given another push, which is how it’s come to be on my radar. What we have here, folks, is a lesson in less is more. 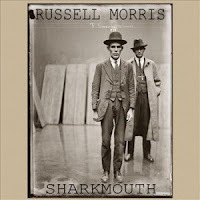 Sharkmouth has a semi-acoustic vibe, creating room for Morris’s groaning vocals and excellent diction, often reminiscent of Nils Lofgren, as he spins a bunch of yarns about the characters and ambience of early 20th Century Australia. 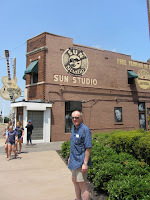 But this still leaves scope for the kind of rootsy blues-meets-rockabilly that Sam Phillips probably hankered after as he recorded wannabe stars at Sun Studios in the early Fifties. Opener ‘Black Dog Blues’ may be a tale of personal disaster and depression, but it’s also as tasty a slice of swinging, witty-rhyming, good-timing, back porch boogie as you could ask for. ‘Walk My Blues’ is a similarly upbeat, chugging descendant of Delta blues, and ‘Money Don’t Grow On Trees’ plays its cash-straitened lyric off against a jump blues feel incorporating fresh harp sounds and bursts of shouted backing. Elsewhere there’s an air of Tony Joe White in ‘The Drifter’, with its brooding, metronomic feel, enlivened by occasional twangs of electric guitar, dashes of distant harmonica, and gospelly backing vox. It’s a recipe repeated successfully on the sparse ‘Bout To Break’, with its brief injections of buzzing electric guitar notes, and on the restrained title tack, with its soft, atmospheric drums and sprinklings of lead guitar. Morris’s storytelling is literate and imaginative too, as he conjures up tales such as ‘Ballad Of Les Darcy’, about a boxer who died of septicaemia in Memphis in 1917, at the age of just 21, after 56 fights that took him to Australian titles before he emigrated to the States to avoid World War I conscription issues. ‘Sharkmouth’ celebrates con man Thomas ‘Shark Jaws’ Archer, whose picture graces the cover, while ‘Squizzy’ recalls the self-publicising Oz gangster Squizzy Taylor. There’s even room for a horse – ‘Big Red’ is titled after the nickname of famed racehorse Phar Lap, the Australian equivalent of Seabiscuit as a Depression-era equine hero. 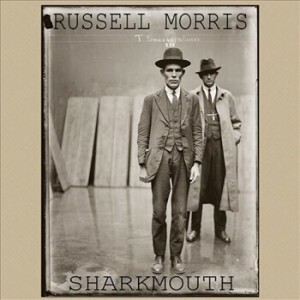 I gather that Morris has followed up Sharkmouth with two further albums exploring the chequered history of Australia. The way in which this first volume successfully weds the blues to some fresh subject matter whets the appetite for those successors, and demonstrates why it won a Best Blues & Roots Album award in Australia back in 2013. Sharkmouth is released in the United States on 30 September. 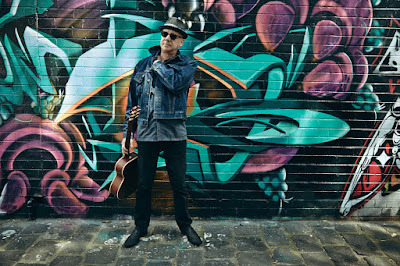 Sharkmouth is the first CD of a triology which consists of Vandiemens land and Red Dirt Red Heart all 3 are still in the Aria Charts in Australia. 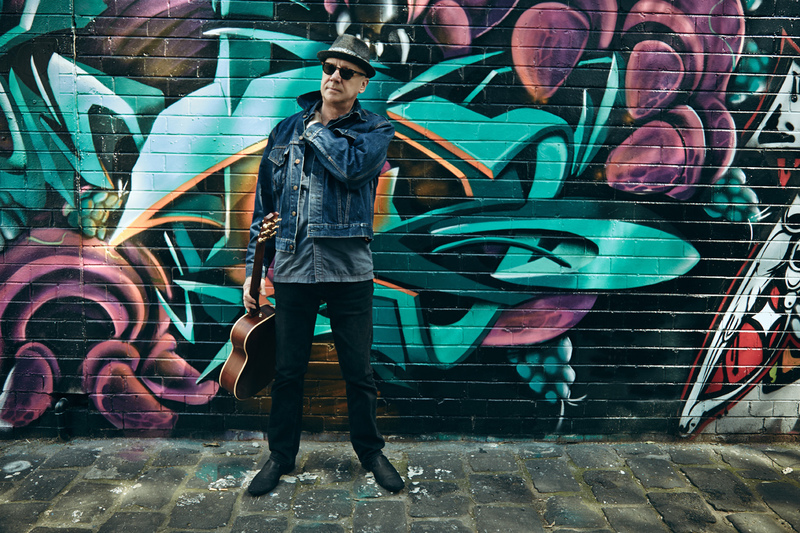 An Australian legend thats going to grow.... has always been our greatest voice ... listen and you will get this most imaginative blues reconstruction in years.